Propidren DHT Blocker by Hairgenics has quickly become one of the best selling and top reviewed hair growth & dht blocking supplement of 2017 and for good reason! 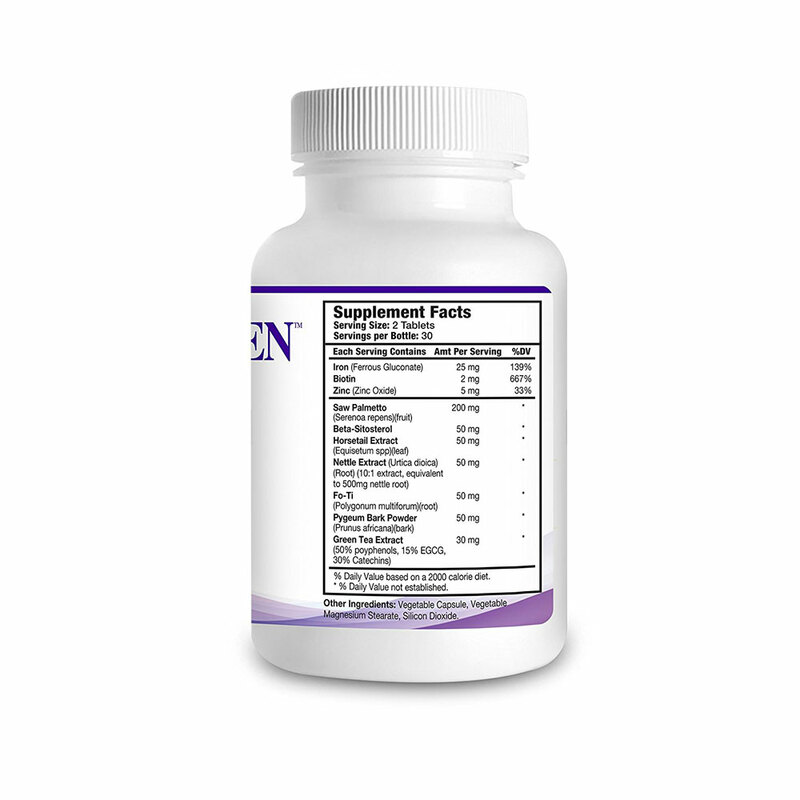 Using only the highest quality and specific natural over the counter ingredients in a time tuned blend, our Propidren proprietary ingredient formula helps to naturally thicken hair, block dht at the root and supercharges follicle activity and hair growth! Stop hair loss in its tracks, get buy Propidren from our online store hair right now! With our 30-day no questions asked money back guarantee you have nothing to lose and some serious healthier hair growth and regrowth to gain! I have been using propidren by hairgenics alongside the pronexa supplement (more like a vitamin mineral complex) for 2 weeks and finally starting to see good results with a noticeable difference in the before and after pictures, which I have been taking every 5 days to give this a real unbiased review. 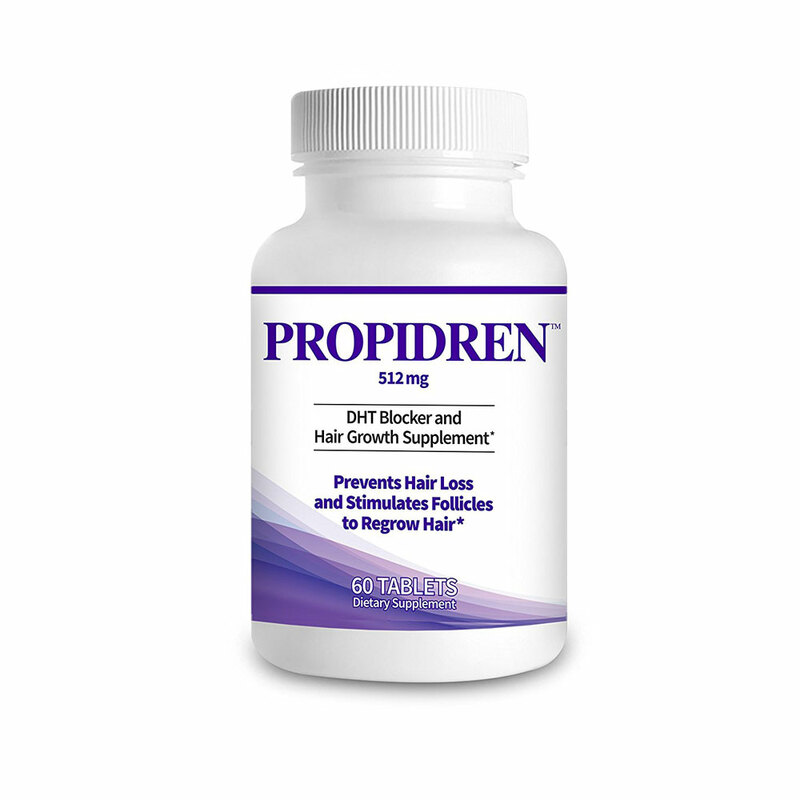 Propidren by Hairgenics is the best DHT BLOCKER AND HAIR GROWTH SUPPLEMENT / PRODUCT I HAVE TRIED OUT OF LIKE 10. I am from India and using propidren for last two weeks. I feel there is some positive respond to my hairs. Previously there was heavy fall of hair. Now it has been reduced. I expect complete cure with in another two week. Let me hope for the best. THIS MIGHT GO DOW AS THE BEST HAIR RE-GROWTH PRODUCT ON THE PLANET. USING THIS PRODUCT FOR SIX MONTHS. I NO LONGER HAVE TO WEAR WIGS AND GET HEAD COLDS, FUNGUS AND EXPERIENCE NO MORE EMBARASSMEN. IN THE PUBLIC. A 54 YEAR OLD FEMALE WITH NO SOCIAL LIFE DUE TO NOT HAVING ANY HAIR FOR THE PAST 9 YEARS. I HAVE BEEN TOLD HOW BEAUTIFUL I AM. AND I KNOW THAT I AM BEAUTIFUL ALL MY LIFE I HAVE BEEN THAT WAY. BUT WOULD ALWAYS SHY-AWAY RECENTLY BECAUSE I HAD A WIG ON MY HEAD THAT WAS NOT MY NATURAL HAIR AS A RESULT OF MENTAL ABUSE AND STRESS I LOST MY HAIR IN ITS ENTIRETTY. IN FACT I AM MORE BEAUTIFUL WITH MY HAVING MY OWN HAIR AS IT SHOWED MY REAL FEATURES AND FACIAL STRUCTURE BEST. I WAS ALWAYS THE TALK OF EVERY WHERE. WHEN I LOST MY HAIR, I BEGAN TO HIDE AND DID NOT WANT TO BE SEEN. AS A RESULT I HAVE BEEN ALONE FOR 9 YEARS. I HAVE BEEN TAKING THIS PRODUCT FOR THE PAST 6 MONTHS. NO MORE WIGS. HAIR GREW HEALTHY IN VOLUME AND LENGHT. ALL BALD SPOTS ARE FILLED IN. I FEEL LIKE A BIRD WHO GOT BACK ITS WINGS. THE BIBLE CLEARLY STATED THAT A WOMAN’S HAIR IS HER BEAUTY AND HER GLORY. EVEN IF A WOMAN IS UGLY, IF SHE HAS HAIR ON HER HEAD SHE GETS ATTENTION. MOST MEN DONT WANT A WOMAN WITHOUT HAIR. I DONT BLAME THEM. EVEN IF WOMAN WEARS EXTENSIONS OR WIGS, IT SHOULD ONLY BE A CHOICE AND NOT BECAUSE SHE HAS NO HAIR. YOU CANNOT IDENTIFY WITH WHAT DOES NOT BELONG TO YOU. YOU ARE JUST MAKING A FOOL OF YOURSELF. LET ME MAKE IT CLEAR, THAT NO ONE OFFERED ME FREE HAIR VITAMIN FOR MY REVIEW. I HAVE EVERY RIGHT AFTER SIX MONTHS TO FLEX MY FEMALE MUSCLE ABOUT THIS PRODUCT AND SPEAK THE TRUTH. THANK GOD FOR THE PEOPLE WHO TOOK THE TIME TO RESEARCH AND BROUGHT INTO FRUITION SUCH AMAZING PRODUCT. THEY ARE PURPOSE DRIVEN. MAY GOD CONTINUE TO BLESS THEIR HANDS AND THIER BRAINS. HAVING MY HAIR BACK BRINGS OUT MY BEAUTY THAT WAS FROZEN FOR SO MANY YEARS. EVEN IF NO WANTS ME BECASUE I AM 54 WHICH I BELIEVE IS VERY YOUNG. THAT IS IS OK. ITS THEIR LOSS. ITS JUST NICE TO KNOW “AM BACK!”.